Many people enjoy creating handmade cards and other paper crafts using rubber stamps. Rubber stamps are expensive, so it is important to properly care for them. 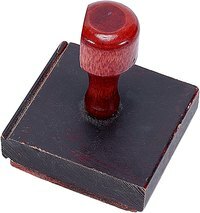 Cleaning the ink from your rubber stamps after each use will ensure that your stamps continue to make crisp, clear images. Commercially prepared stamp cleaners are available for purchase, but making your own cleanser is easy and inexpensive. Using a simple soap and water solution to clean the ink from rubber stamps is sufficient for many crafters. Choose a gentle dishwashing soap (Dawn and Ivory both work well) and add a few drops to a cup of water. Pour the solution into a small spray bottle and spritz the rubber portion of your stamp. Use a rag or paper towel to rub the rubber area and remove any remaining ink. Rinse the stamp with clear, clean water and allow it to dry. Some types of ink, such as archival ink, don’t wash off as easily as less expensive inks. Making a glycerin cleanser for your rubber stamps often helps remove some of the more stubborn inks. Glycerin conditions the rubber and keeps it pliable. It is an ingredient in many commercial stamp cleaners. Look for glycerin at your pharmacy or drugstore, or in the soap-making section of a craft store. It is sold in small 4- to 6-oz. bottles. To make the rubber stamp cleaner, combine 2 tbsp glycerin, 1 cup distilled water, and 1 tsp of baby wash (any brand will work as long as it is a gentle wash). Pour the solution into a small spray bottle and spritz the rubber portion of your stamp. Use a rag or paper towel to remove any ink that doesn’t immediately wash away. Rinse the stamp with clean, cool water and allow it to completely dry. Although rubber stamp cleaners made with soap or glycerin are not bad for the environment, one brand of eco-friendly cleanser makes a rubber stamp cleanser that works to remove tough ink stains. Simple Green is a non-toxic, biodegradable, concentrated all-purpose cleaner. Combine 1/4 cup Simple Green and 1/2 cup distilled water. To clean your stamp, pour the solution into a small spray bottle and spritz the rubber portion of your stamp. Rub the rubber pad with a clean rag or a paper towel to help remove any stubborn ink that remains on the stamp. Rinse the rubber stamp with cool, clean water and allow it to dry before storing it. Sometimes you don’t have time to properly clean your stamps as soon as you are done using them. In this case, a wet baby wipe works as a fast solution. Rub the stamp with the baby wipe to remove as much ink as possible. You can properly clean your stamps later. Keep a box of baby wipes by your craft area so that they are always available for a quick clean-up.